Hey everyone! May the Fourth be with you! 😛 Today I have some LeChat Dare to Wear creme polishes. A long long while back, Michelle from ManicTalons.com gifted me a bunch of polishes, among which were some LeChat polishes. I have some cremes to show you today, and at a later date I’ll show you some glitters and shimmers. Pink Ribbon is a sheer, barely there pink. Usually I’m not much for sheer shades like this, but they are useful for pond manis or jelly sammich manis. This had a good consistency. This is 3 coats and no top coat. Royal Red is a seriously gorgeous vampy red. Hubba Hubba! Formula, though, was not gorgeous. It was runny, sheer, and uneven. 😦 This is 3 coats and no top coat. Happily Ever After is a bright yellow polish. Formula was thin and sheer and uneven. No good! This is 3 coats and no top coat. 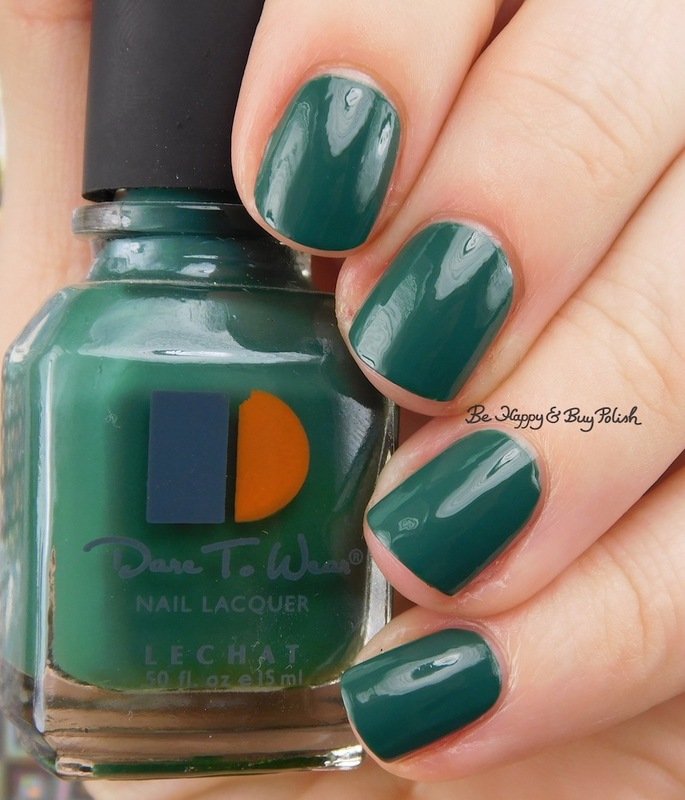 Dark Forest is a beautiful deep green polish. I could wear this every day and twice on Sundays! Formula was of good consistency. This is 2 coats and no top coat, though it was almost a One Coat Wonder. Angel from Above is a periwinkle blue polish. Formula was sheer, thin, and uneven. This is 2 coats and no top coat. Butterflies is a pretty purple polish. This had a good consistency. This is 2 coats and no top coat. I gotta say my favorite here is probably Dark Forest. It just applied so well and looked so pretty! 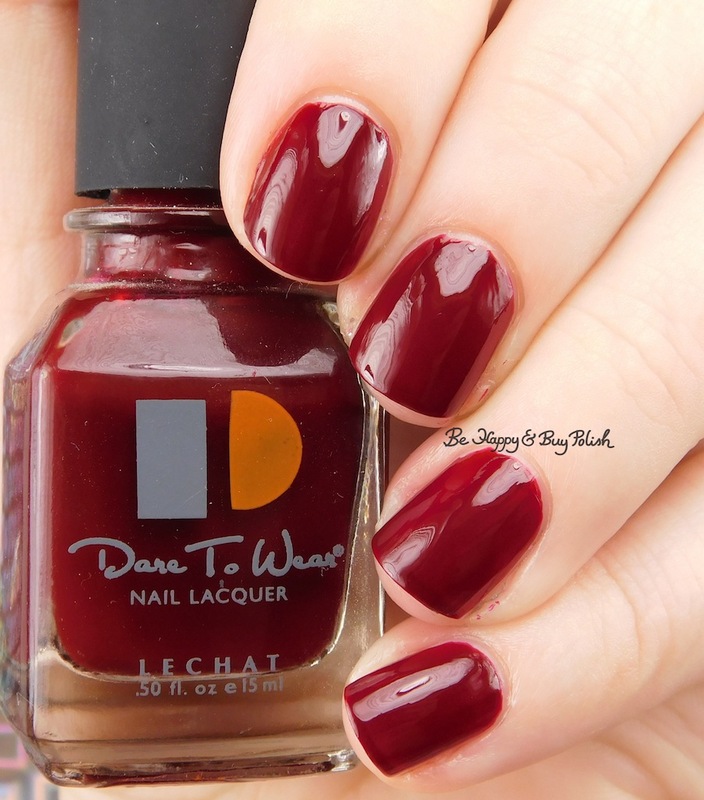 Have you ever tried LeChat polishes? What has your experience been? Some nice swatches of these color. I don’t own any LeChate Dare to Wear polishes but they look like nice creme polishes.